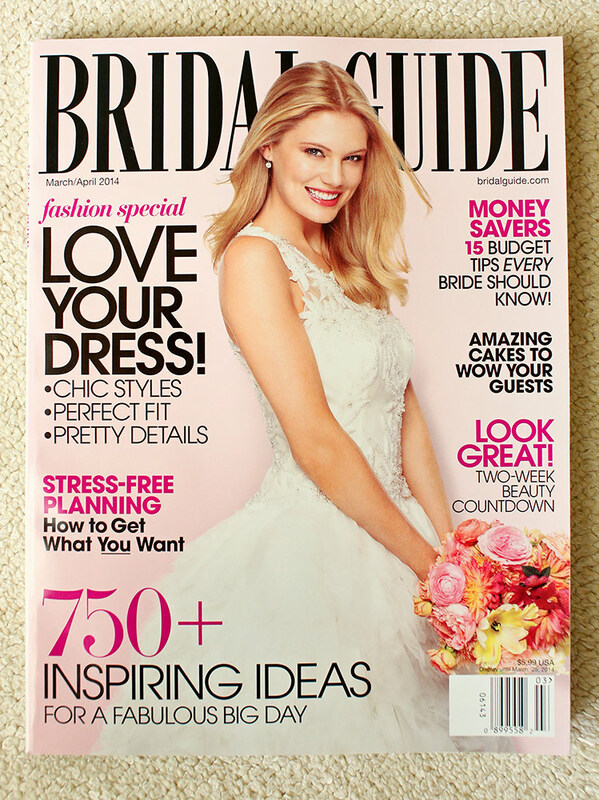 We are excited to see Betty and Andrew’s wedding at The Thomas Fogarty Winery featured in the March/April 2014 issue of the Bridal Guide. It was so much fun to see the thought and effort that went into making this special day unique. The color scheme they picked played well to the natural vineyard colors of an August wedding. 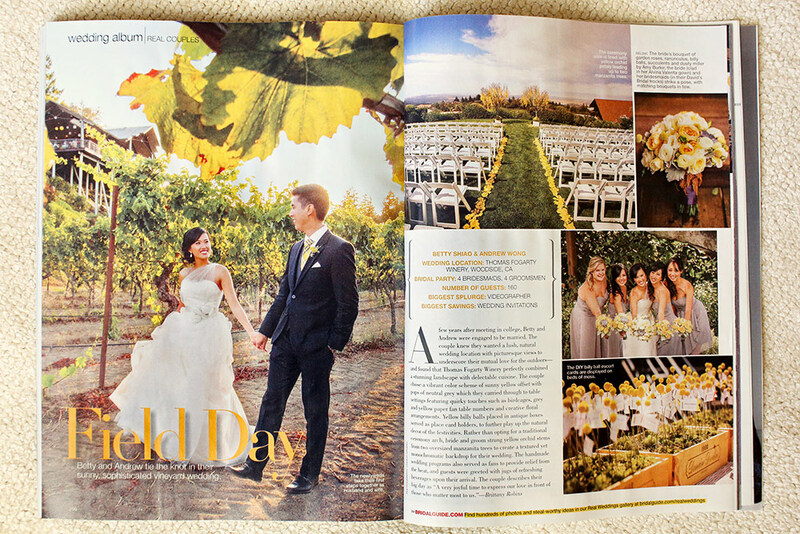 We loved working at this winery and capturing great moments, portraits, and details. It’s amazing that such a beautiful venue exists right in the middle of the Bay Area. 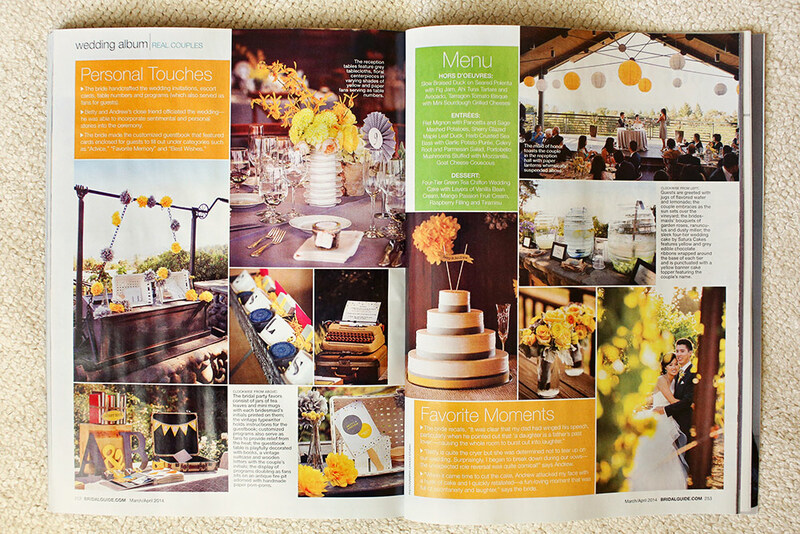 We also loved working together with Frances of Charmed Events Planning. You can see the rest of Betty and Andrew’s wedding preview here: Thomas Fogarty Winery Wedding Photos.